Teaching Blog Round Up: It's So Nice to Meet You! It's finally my turn for my first post here at Teaching Blog Round Up and I'm so excited! I want to use this post to introduce myself. I'm living in rural Ohio (where it is cold and rainy on this Memorial Day!) with my husband and our two kids. They are 12 and 9 and keep us running! They are active in soccer and 4H. I just finished my 14th year of teaching. Most of my career has been spent as a Reading Intervention Specialist, but this past year I made the switch to Kindergarten and I loved every minute of it! Teaching blogs helped me so much as I made that switch and because of that, I decided to start my own a few months ago. 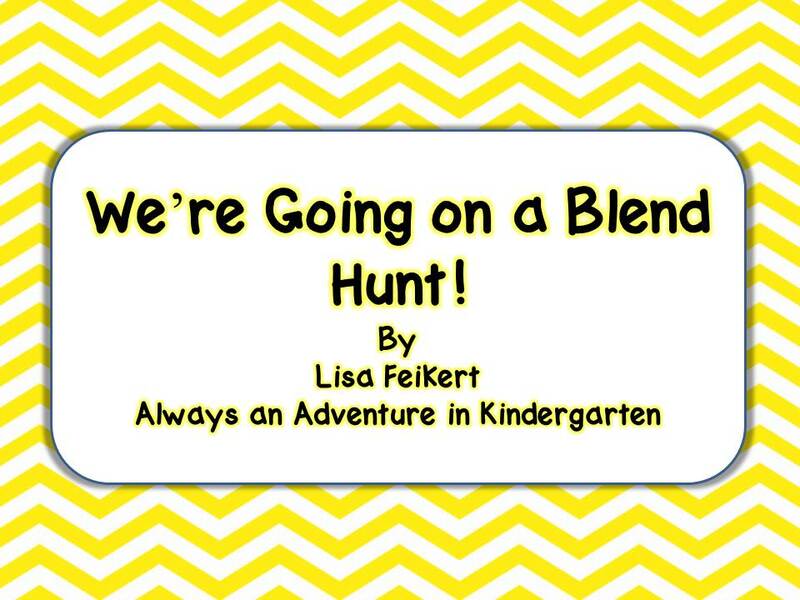 It's still definitely a work in progress, but now that my summer vacation as begun, I'm planning on blogging a lot and working on lots of things for my classroom that I will definitely share with you both here and at my own blog. You can also visit my TpT store here. Like my blog, it's a work in progress, but by the end of the summer I hope to have it filled up! As a Reading Intervention teacher, I've had a lot of "extra" training in literacy. I'm a Reading Recovery trained teacher and I also have used the Wilson Fundations program for many years. I use the Daily 5 in my classroom, as well. Because of all of that good stuff, you will probably find that most of my posts are literacy based. OK, enough about me. I wanted to leave you with a couple of products that you might want to use in your classroom. 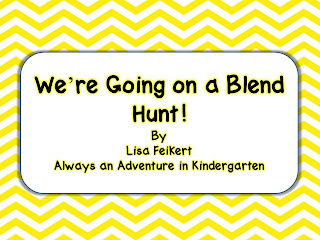 If you are still in school for a few more days, you might want to use this Blend Hunt Activity. The best part is IT'S A FREEBIE!! This was the first product that I ever made! I used it in my classroom as a Word Work activity during Daily 5. It's a "write the room" activity. Print out the cards, place them around the room and give the kids clipboards and the recording sheet. My kiddos LOVE write the room activities. At first, I thought it would be crazy time, but they are really pretty quiet because they are intent on finding the cards! If you are already out of school and beginning to think about next year, you might be interested in my editable word wall cards. I don't have a lot of space for a word wall in my classroom so these are made to be approximately the size of a 3"x5" index card. The words included are a mix of dolch and the words taught by our Literacy By Design reading series, but this is an editable powerpoint file so you can add any words you choose! Thanks for checking in to Teaching Blog Round Up! I'm really excited to be a part of this and look forward to making new blogging friends! I'll see you on the 27th of every month! Next month, I'm going to fill you in on why I love, love, love The Daily 5! If you don't want to wait until next month to visit me, head over to my blog!